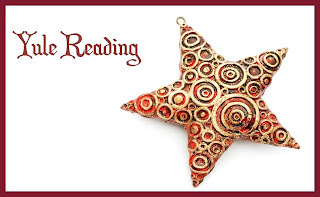 Welcome back to another year of the Yule Reading Challenge, here I attempt to read all the Yule/ Christmas books listed on my shelves and any ARCs I might have. Last year I did this list and really enjoyed reading some of the books I owned. This lead to me falling in love with a few new authors and adding them on to the TBR Pile but also made me aware of the awesome stories already sitting on the pile from those authors as well. November Update, what I've read so far will be highlighted and crossed out, if there are any reviews I will have them linked. December Reads will be in Red and same as before any reviews will be linked. We're almost there, just a week left of reading and I can't believe I've done as well as I have. How about you my loves?? Doing well, can you believe the year is almost over?? A new year with new challenges will be up before you know it. I can't wait, can you? ?